Lettuces, kales, collards, mustards, and more. Browse the images below to determine which kind of green, leafy vegetable you've received. Arugula is a nutty, peppery green. It's often used in salads, sandwiches, and other raw applications. It can be tossed on freshly baked pizzas for some contrast and bite. Arugula can also be used in pestos. 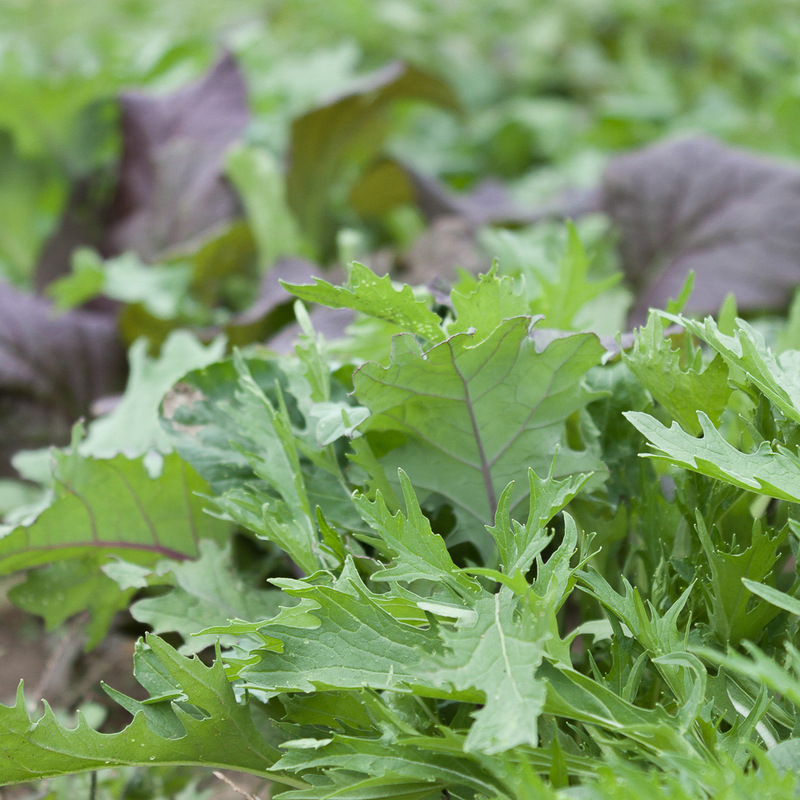 Discovered by gardener Beedy Parker, this variety of kale is loosely waved and sweet. Take advantage of its sweetness by serving it as a salad green with a bright, sharp dressing. Bibb lettuce is a type of butterhead. It is mild in flavor, tender and crunch in texture. 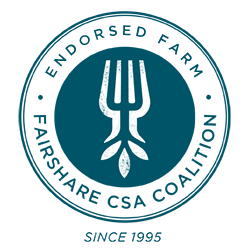 It's an obvious choice for salads, but for something a little different try wilted lettuce! Also called Pac Choi, Bok Choi has tender stems and leaves. It's commonly used in stir-fries and kimchi. It can also be steamed for a simple, nutritious side. Swiss Chard is a colorful green, with stems ranging from deep magenta to neon yellow to white. It's used interchangeably with spinach throughout Italian cuisine. It's also a more substantial and flavorful salad green. A staple of Southern soul food, collard greens are highly nutritious. Like other dark leafy greens, collards greens are best when not overcooked. Saute a little garlic and/or some chopped onion in a skillet, then add the collards and a splash of water. Cover and cook until just tender, but still green. An attractive and great-tasting heirloom cabbage. This sweet cabbage makes a great coleslaw. Endive is a mildly bitter salad green often mixed with other lettuces to add variety and punch. Rinse well and mix with other salad greens. 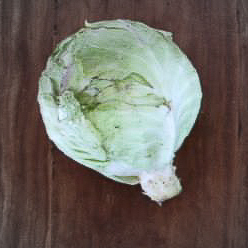 Tender, thin leaves characterize this cabbage variety. This cabbage is sweet with a little bite and has a crisp texture. 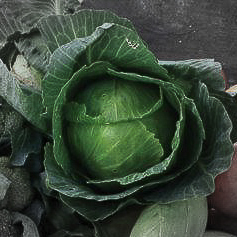 This cabbage would make a great choice for a raw cabbage wrap recipe or a stuffed cabbage. 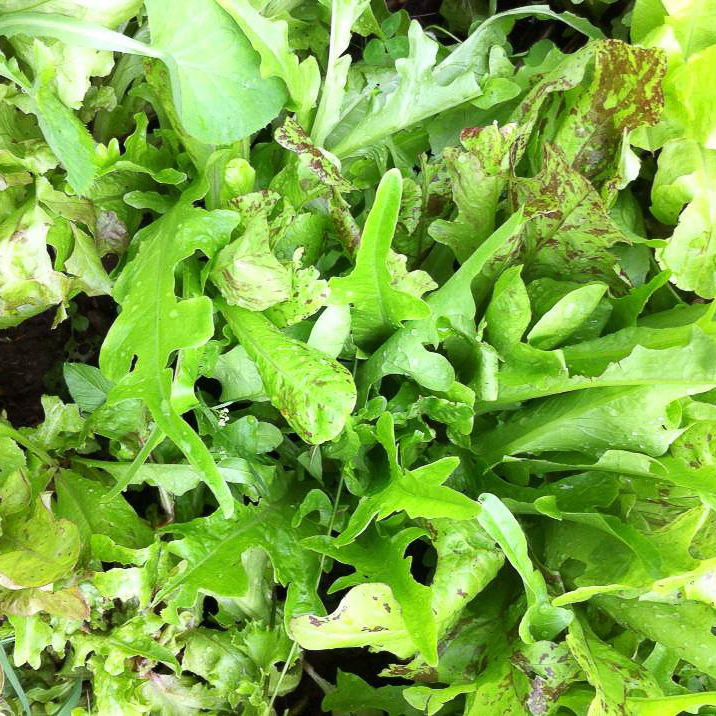 A mix of lettuce varieties grown together, our lettuce mix offers variety for the garden row and your salad bowl. Use in fresh spring salads. Find a variegated bag of leaves in your share? If they taste a bit sharp and spicy raw, you've got a bag of mustard greens in your hand. Cooking them softens their flavor. Try them with garlic and onion, or even bacon! Purple Peacock broccoli is an interesting and beautiful kale-broccoli cross developed by Frank Morton. Treat the head like broccoli and the leaves like kale. The purple will fade when cooked.